Corbeau Fixed Back Seat - Baja JP UNIVERSAL - Pann Auto Performance - San Diego largest aftermarket automotive performance parts - What do you drive? The Jeep community has spoken and we have listened. We are excited to introduce our all-new Baja JP Suspension Seat. This seat is a direct bolt in to most CJ5’s, and all CJ7’s and YJ’s. 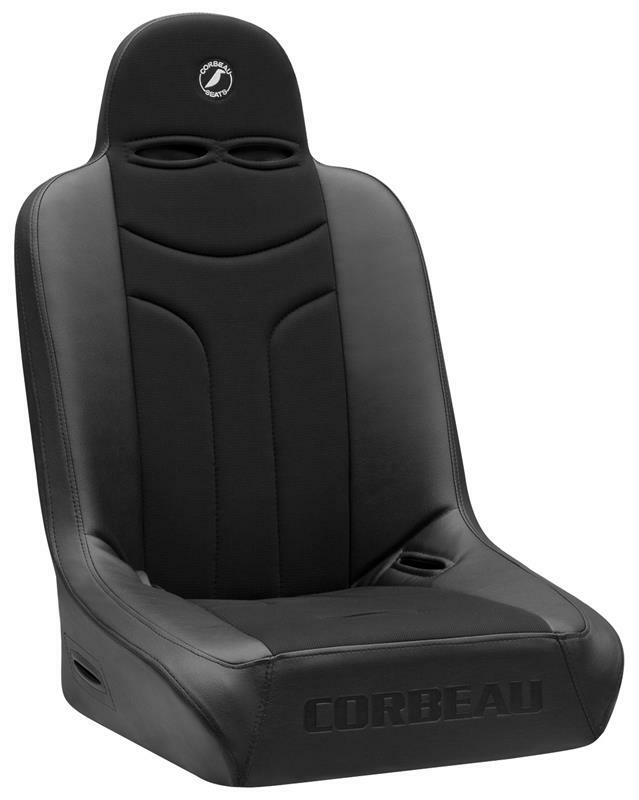 It will fit in any other vehicle with Corbeau Custom Brackets. What makes this seat special is the strategic bolstering. We made just enough bolster support to hold you in place and provide ultimate comfort but at the same time making it easy to get in and out of your vehicle. For those of you with lifted vehicles, you will love this feature! The Baja JP is equipped with the state of the art Corbeau Suspension System. This system has proven to provide superior cushioning and significant energy return upon impact. The suspension system creates somewhat of a trampoline effect, which absorbs the impact your back would otherwise endure. The Baja JP Off Road Suspension Seat will fit up to a 38” inch waist and the Wide will fit up to a 42” waist. The Baja JP is available in all black vinyl or black vinyl/cloth fabrics.